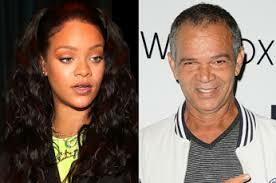 Rihanna takes father to court in trademark dispute – Royal Times of Nigeria. American pop singer and actress, Rihanna Fenty, has taken her father, Ronald Fenty, to court for stealing her ‘Fenty’ brand name to launch a business for himself. Rihanna claims her father, recently started a talent development company in 2017 called Fenty Entertainment and he is profiting off the reputation she has created with Fenty. Rihanna has already trademarked “Fenty” to use in a number of biz ventures, including her well-known Fenty Beauty line. Rihanna also claimed that her father even unsuccessfully tried to file a trademark for “Fenty” to use with resort boutique hotels. The singer said she has sent multiple cease and desist letters to her father, ordering him to stop capitalizing off of her Fenty trademarks, but he has ignored them. She is, however, ready to take him down and is asking a judge to place an injunction on her dad using the name Fenty and wants him to pay for damages.